The Fiber Kingdom is tucked away in the rolling hills and valleys of Washington County, so quaintly depicted in the paintings of Grandma Moses. The Adirondacks are to the west and the Green mountains are to the east. Washington County is one of the most rural counties in New York State and Salem, home to Fiber Kingdom, is within a half-hours driving time of Saratoga Springs or Bennington, Vt.. 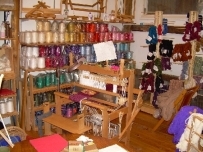 In two renovated post and beam barns, one 18th century, the other 19th century, are studios and shops for a wide array of fiber arts and crafts. 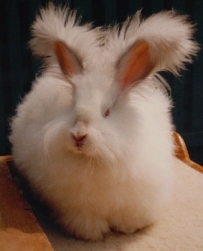 And, not to be ignored is a working colony of angora rabbits. 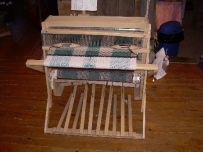 Supplies, equipment and instruction are offered for handspinning, handweaving, knitting, felting, surface design and dyeing. 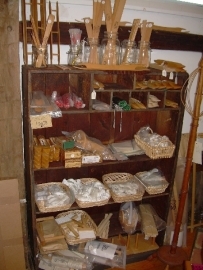 In addition to a selection of well-known brands, there are products designed by and unique to the Fiber Kingdom. Most of all, I offer personal attention. 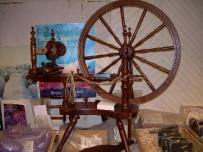 I bring to this endeavor more than twenty years of experience as well as formal training in both the Natural Sciences and Fine Arts.